During Microsoft's press conference at Mobile World Congress today, the company officially announced that a new update is coming to Windows 8.1 this spring. Joe Belfiore, head of phones, PCs and tablets at Microsoft, said that while "we love touch", the update will focus mostly on improving the user experience for those with a keyboard and mouse. Of course the update Belfiore is taking about is what has been discussed previously as "Update 1", an internal codename used at Microsoft. The company today confirmed that Update 1 will include a title bar at the top of modern apps, power and search buttons on the Start screen, new right-click mouse UIs and Metro-style apps in the desktop taskbar. These features were already known to be part of Windows 8.1 Update 1 thanks to a series of leaks, including the release of any early build around three weeks ago. Several other changes seen in leaked builds, including booting to the desktop by default on non-touch systems, weren't confirmed during the press conference. 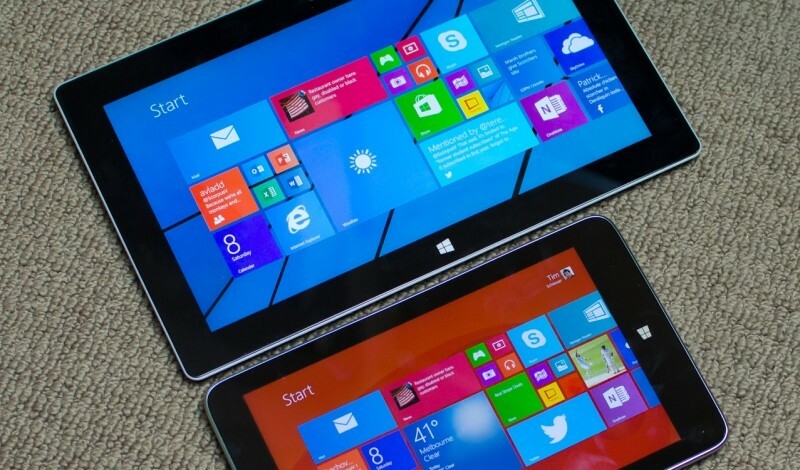 Belifore says that some of the changes were in response to user feedback surrounding Windows 8.1. "Some of those touch affordances weren’t really tuned as well as we could do for those mouse and keyboard users... We found people weren’t aware of where they should look in the UI. Those are the things we’ve really started to improve for this update coming this spring." As well as a range of new features and changes, the spring Windows 8.1 update will allow device manufacturers to produce lower-cost products through lower hardware requirements. OEMs now have the flexibility to include just 1 GB of RAM and 16 GB of internal storage, and licenses for Windows itself are now reportedly cheaper. While Microsoft didn't specify at their press conference when Windows 8.1's spring update will arrive, rumors put the release date around April 8th. More details about the update are expected at the company's BUILD developer event in early April.